This one-pan meal is almost too good to be true. 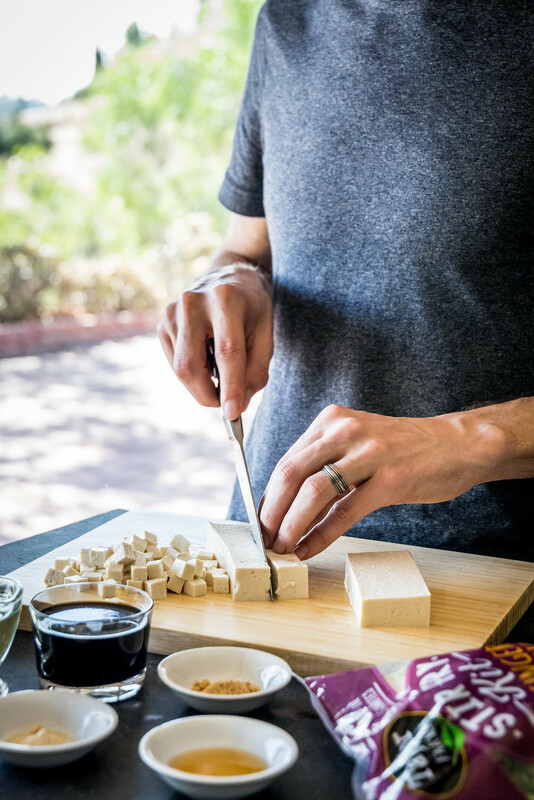 There’s no slicing, dicing, cutting, chopping, or peeling of any vegetables, and everything comes together in minutes. 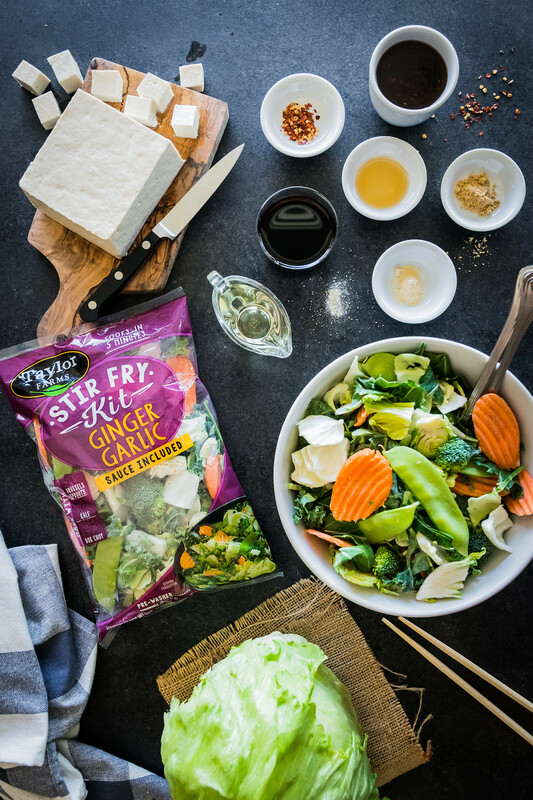 We partnered with Taylor Farms to create a recipe using their Ginger Garlic Stir Fry Kit, and came up with something fresh and easy using just six extra ingredients. 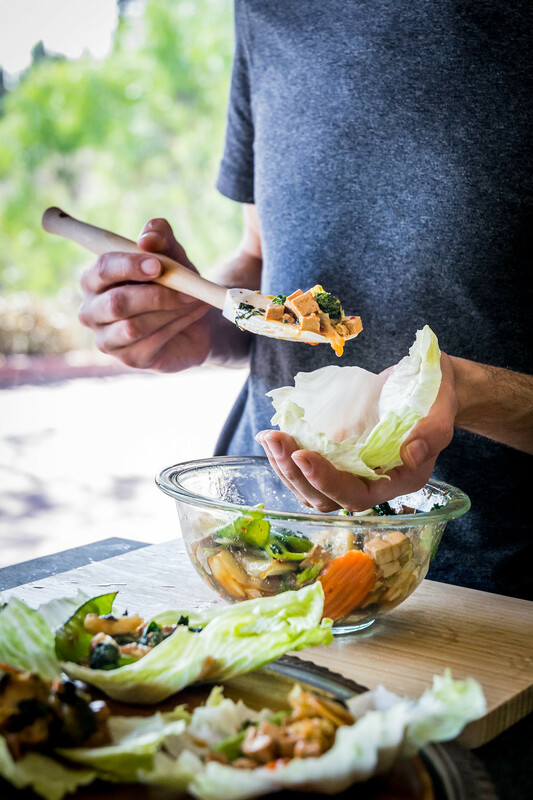 If you’ve ever been to PF Changs, then you must know about their mouthwatering lettuce wraps: they are the highlight of the menu, and those light and tasty appetizers were the spark of inspiration for this zesty Asian dish. You’re in for a treat. 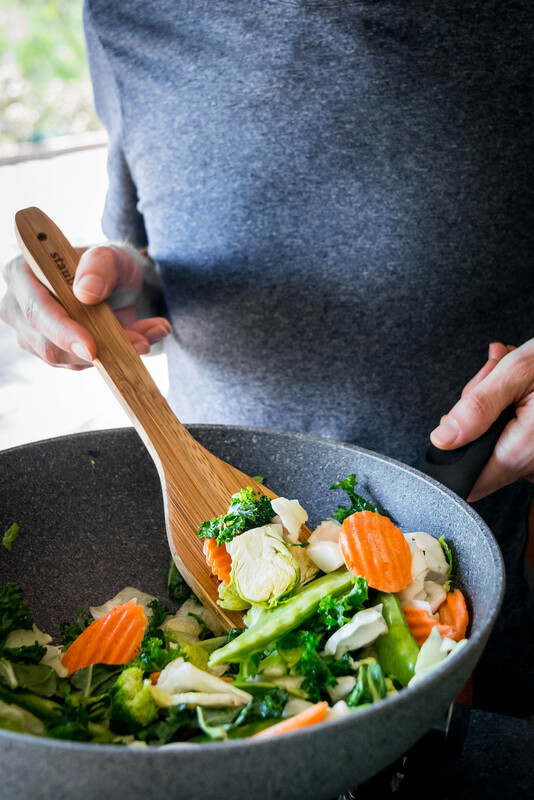 This convenient stir fry kit is a fresh blend of kale, broccoli, brussels sprouts, bok choy, cabbage, snow peas, and carrots. 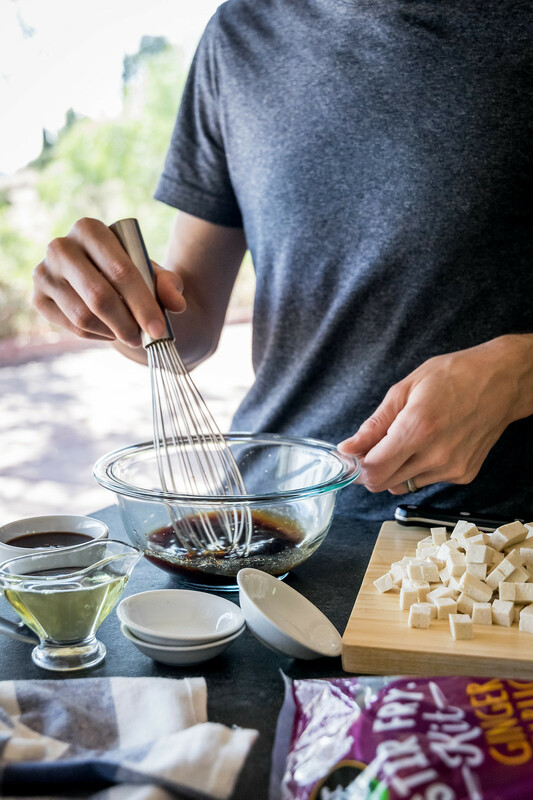 Once sautéed in the flavorful ginger garlic sauce that’s included with the kit, we then add small bits of spicy tofu cooked in soy sauce, more ginger and garlic, red pepper flakes, and sesame oil. 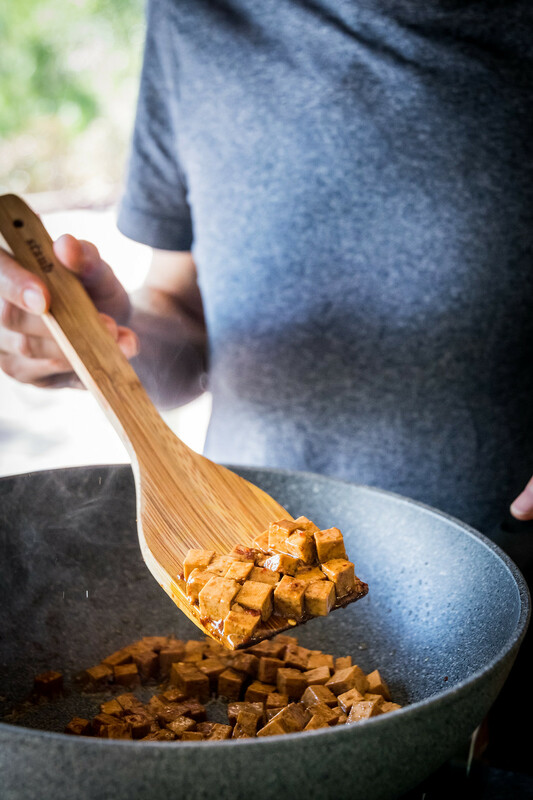 This savory, sweet, and spicy mixture is then added to crisp cups of lettuce, creating an Asian-inspired taco that is tangy and deliciously unexpected. 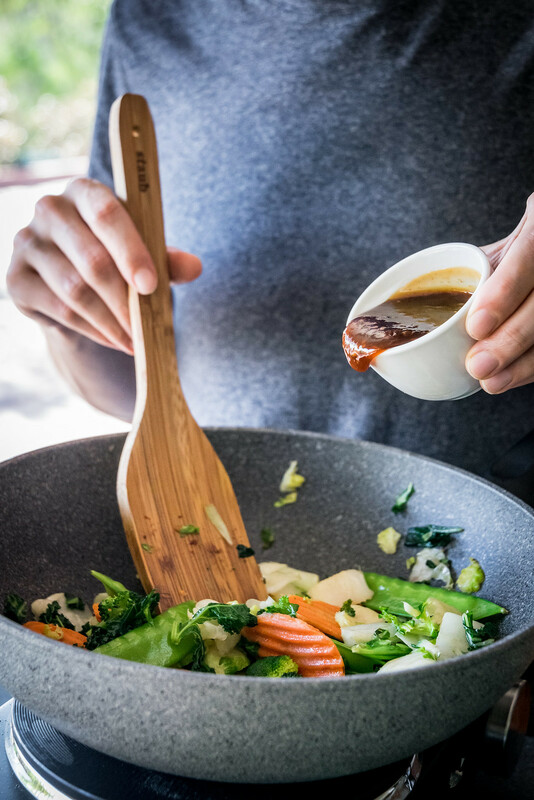 Garnished with a drizzle of sriracha hot sauce and enjoyed with a cool beverage, your relaxing dinner plans await. And don’t worry, you can still have cake for dessert. 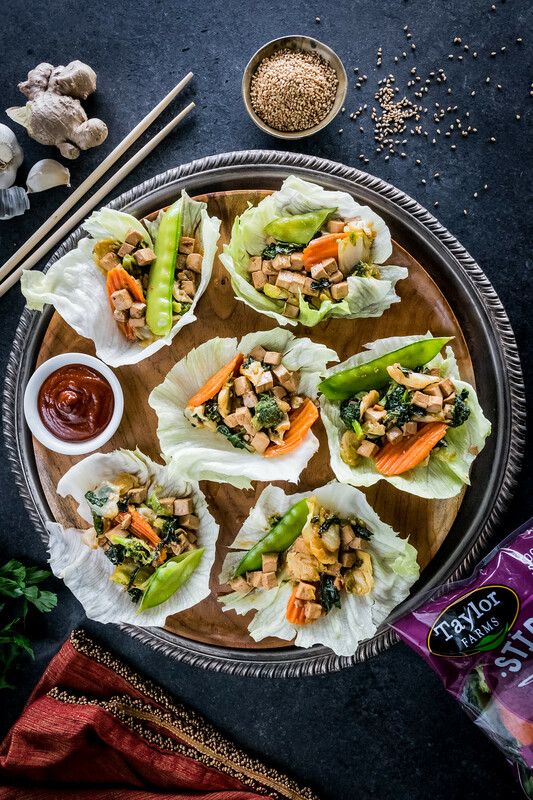 — Taylor Farms Stir Fry Kits are sold in grocery stores, click here to find a retailer near you. 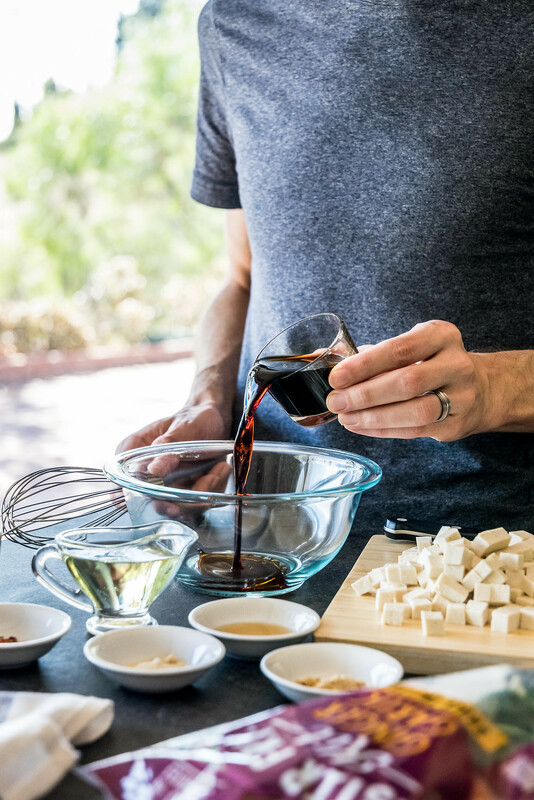 — Tamari is a type of soy sauce made without wheat, so it’s a great gluten-free option. It’s available in many grocery stores, on the same shelf as the soy sauce, and online. YES! 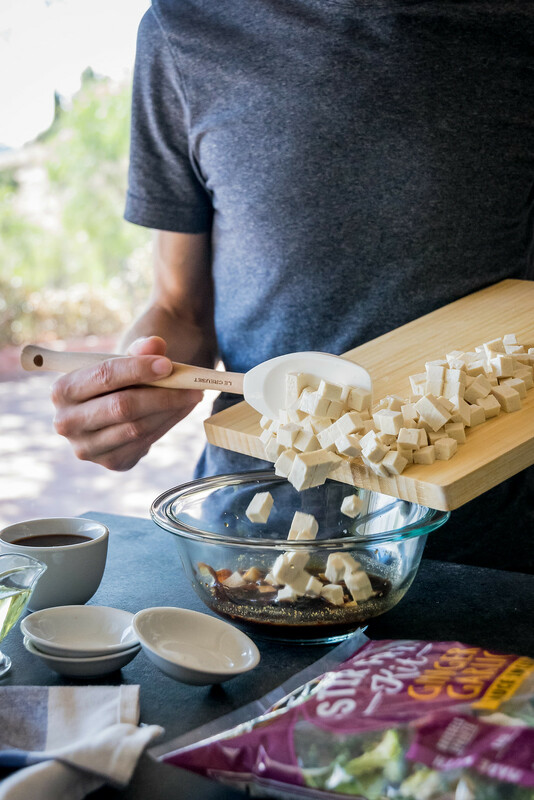 We looove tofu too! It gets such a bad rap, but if it’s prepared well it can be so tasty! This was delicious and easy to make. 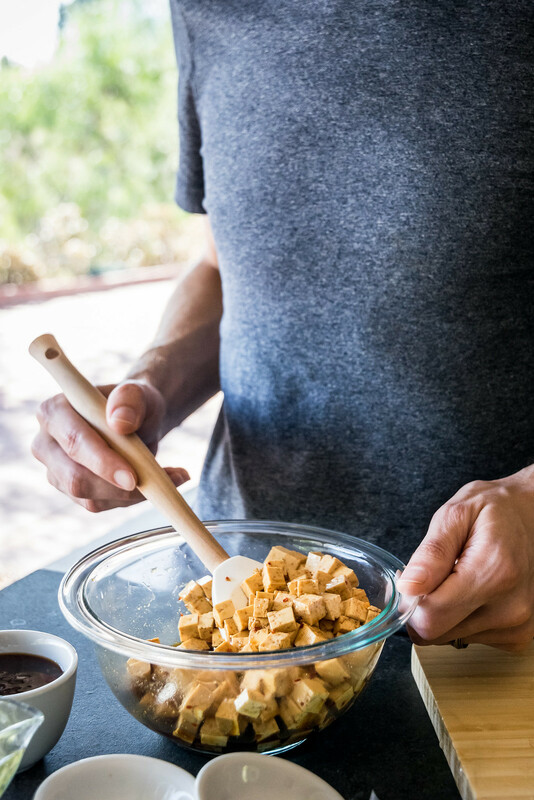 I’ve never used stir-fry packages before, but when in a hurry, this is a fantastic alternative for a quick dinner.